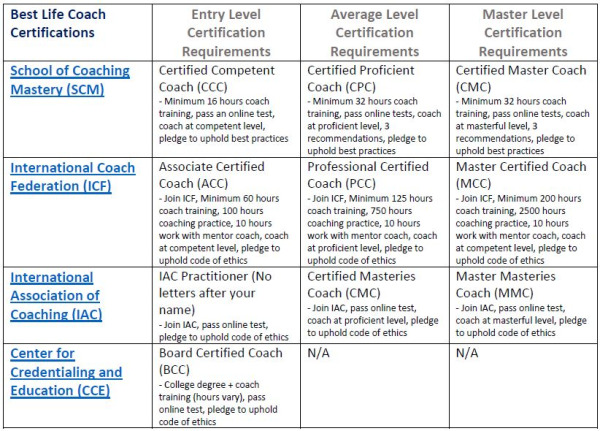 Do You Need to Be Certified to Become a Coach? If you're thinking about becoming a coach, then you may also be wondering if you need to become a certified coach and if so, what certifications do you need? Some coaches will tell you, "No, you don't need to be certified to become a coach." I'm going to tell you why that's terrible advice and why you do need to get certified, especially if you're a new coach who wants to succeed. 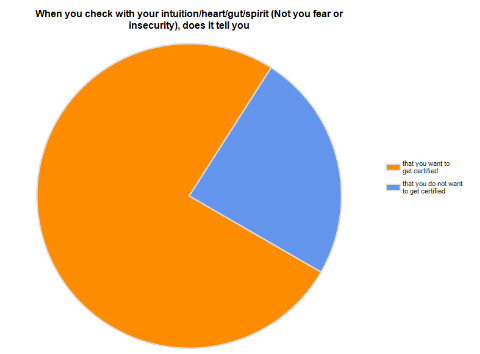 My information comes from my own survey of 2,552 coaches, which is represented by the pie charts, below, plus several large surveys of the coaching industry by organizations, such as the ICF, and my experience working with thousands of coaches. But don't take my word for it. Once you have the facts, make up your own mind and set yourself up for success. According to research by Coaching Sherpa and others, professional coaches with training & certification earn more, become successful more quickly, and are less likely to drop out of the profession. 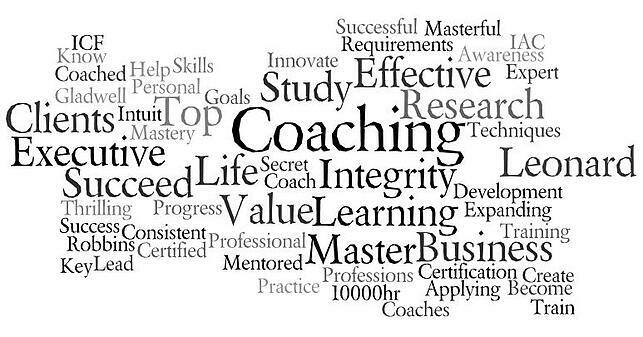 According to School of Coaching Mastery's own research, 80.6% of all coaches wish they were more successful. Why lose even one good potential client because you don't have some letters after your name? Certification helps distinguish you from non-coaches who call themselves coaches, and who often mislead or even harm clients. As more scandals arise about so-called coaches, authentic professional coaches seek reputable certifications as a way to assure potential clients that they are genuine coaches. In fact, in large-scale surveys by the ICF, coaches consistently cite untrained individuals who call themselves coaches as the number-one problem facing the coaching profession. 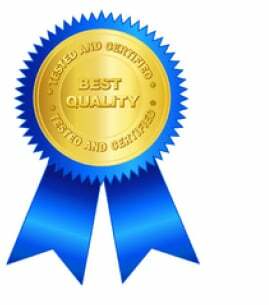 Rightly or wrongly, most people assume that certified professionals are better than those who are uncertified. Yes, there may be uncertified coaches who are good, but the public doesn't always know who they are. In the absence of a good referral from a trusted friend, many people look for certification, which essentially is a stamp or approval from a trusted source. Your clients probably want you to be certified. According to a survey by the ICF, 84% of actual coaching clients said coaching credentials were "important" or "very important" to them. This runs contrary to what some coaches say, which is that clients don't care about certification. Evidently most do, and the numbers go up according to region, with 91% of the general public (not just actual coaching clients) in Latin America stating that certification is important. Not only that, but according to SCM's own survey, 82.8% of professional coaches said they would feel more competitive if they were certified and 76% said they would sign on more paying clients. You probably want to be certified. 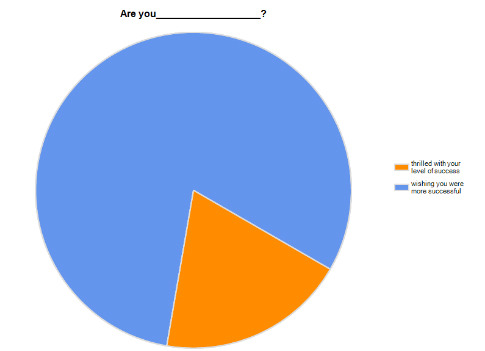 According to the SCM survey, Do You Need Coach Certification?, which to date has been completed by 2,552 coaches worldwide, when asked if they intuitively want to get certified (in other words, is this what you really want, or is it just what you think you should do), 75.7% of professional coaches said they want to get certified. Someday you may legally need to be. Most people who want to become business, executive, or life coaches wonder if they need credentials in order to legally practice coaching. In most places the answer currently is, "No", but that may change. No one knows for sure what will happen, but having a recognized certification, such as ICF or IAC, can help grandfather you in, if/when regulation comes. You'll become a better coach. No, letters after your name won't magically make you better. But preparing for an oral certification exam will. I've learned something new with every certification that I've qualified for and I've seen hundreds of other coaches improve, as well. Great coaches tend to be more successful. Regardless of the laws where you live, if you think like a coach, then you've evolved away from thinking that just having enough to get by is okay, and you actively choose to set yourself up for success in every way possible, instead. You're interested in best practices, not just minimum standards. Coach certification helps set you up for success and it represents coaching best practices. Given all the good reasons why coaches, especially new coaches, benefit from coach certification, I sometimes wonder why a few coaches persist in telling new coaches they don't need it. Do they secretly want new coaches to fail, so there will be less competition? Are they terrified that the march toward professionalism will leave them in the dust? I don't know. But whenever I write about certification, some disgruntled coach leaves an angry, jeering, or paranoid comment on this blog, or on Facebook, or LinkedIn. UPDATE: See examples of this type of response, below, in comments #5, 6, & 10. Clearly this is a hot-button issue for some. But if you're a new coach, don't just take advice. Get the facts and decide for yourself. 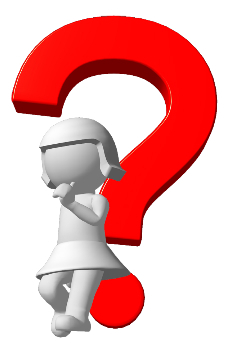 Take the survey, "Do You Need Coach Certification?". It'll help you decide if certification is right for you, based on your own answers. Are you wondering if you should become a coach? Or how to get started as a coach? Or whether you should get certified as a coach? This time of year, I hear from folks all over the world who are thinking about becoming life, business, or executive coaches. Their questions inspired this post. Although the questions vary, the subtext is always the same: Can I succeed, as a coach? That one, I can't answer, but you can, after you've asked yourself the right questions. 1. What's your reason for becoming a coach? If you love to help people, or you got coached yourself and loved it, or personal and professional development are your passion (see #7); these are great reasons. If you're out of work and out of money, or you just got diagnosed with a serious illness; these are poor reasons. As with any business, you'll need time, energy, money, and passion to succeed as a coach. 2. Is now the right time for you to become a coach? Speaking of time...timing is half the secret when it comes to succeeding at anything. Do you happen to have the time, energy and money to work on your new business, right now? Or did you just fall in love, are getting divorced, making a big move, or going back to grad school? Major life transitions take up huge amounts of energy, focus, and time (and usually money). Starting a new business is a major life transition. The more you pile on, the harder and slower it will be to succeed. I'm not saying it can't be done, but be prepared. 3. Do you have the skills you need to become a coach? Virtually everyone underestimates the skill required to become an effective coach. Most think they learned what they needed in school or on the job. Probably you have some of the skills and that's good. But it's extremely rare to have all the skills needed, without substantial coach-specific training, or a decade of full-time professional coaching. Get training, rather than education. Education gives you context, history, theories, etc. What you need is skill. Get the skills you need to succeed more quickly. 4. Do you have the financial resources to become a coach? Coaching is often cited as one of the easiest and cheapest businesses to set up. While that may be true, as with every business, "it takes money to make money". In the case of coaching, be sure you have an alternate income source until your coaching practice is full. You should have clients within your first three months, but a full practice can easily take a year, sometimes more. 5. Do you have the emotional resources you need to become a coach? Great coaches believe in learning opportunities. There's no better learning opportunity than starting a new business, because it'll bring out all your insecurities. Capitalize on this opportunity by working with a mentor coach. S/he'll believe in you until you believe in yourself and will help you build a community of ardent supporters. 6. Do you have the business know-how to become a coach? People who already have experience running a small business, tend to hit the ground running, when they launch coaching businesses. If that's not you, work with a mentor coach who knows the business of coaching, inside out. Get advice also from a small-business attorney, accountant, financial adviser, and more. 7. Do you have the passion to become a coach? This is the biggy. If your answers to the first six questions feel like too much work, maybe you just don't have the passion for coaching. On the other hand, if you feel curious, excited, but with a few butterflies (think: waiting inline for the ferris wheel), you've got that illusive IT, the passion needed to succeed. Passionate people dive in and do what others complain about, cut corners on, or procrastinate over. Passion will carry you forward. Add a great strategy to make it simple. If you can say, YES, to #7 and can arrange for the other six, then coaching could be an awesome profession for you and, YES, you can succeed at it! Ready to become a coach? If you're a business, executive or corporate coach, you need data on how and why coaching works in order to make effective proposals. The ICF is an ongoing source of good data on coaching. If you want to become a business coach, your best strategy is to shut up and listen. Yes, what you know matters, but less than you think. Listening is your key to helping others succeed. Watch this TEDx video with Ernesto Sirolli, Founder of the Sirolli Institute, on how you can't help anyone unless you first listen. This is true whether you're coaching them or selling coaching to them. To learn more, click the button to join Business Coach, Master Sales Coach and Provocateur, Mattison Grey, MCC; for a free teleclass on how to Stop Talking & Get More Clients. But first, get inspired by Ernesto's impassioned talk. You'll love it! Recently I interviewed Mattison Grey, MCC, about her 15 years as a super-successful coach and the three secrets to success that she wished she knew when she first became a business coach. Your fee has to reflect the value your client wants to create, not what you think they want to pay. Her mentor was right when he told her she would have to learn to sell if she wanted to succeed. Traditional selling is pushy and manipulative, so she had to learn a new way to sell with authenticity. Mattison's approach to selling is a fresh breath of air, compared to what most of us think of as selling. I know, because I've taken her sales seminar (twice), along with a whole slew of other successful coaches, such as Coaching Telesummit Queen, Adela Rubio, who said, "Mattison shifted my resistance to selling when I took her virtual sales training." and Coach Laurie Peterson, who says simply, "It Works!!! 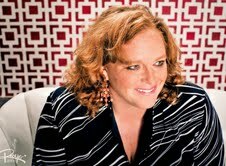 ", and TV Image Coach, Sarah Shah, who says the best part is, "I'm making more money and no one feels dirty in the end." I've managed to talk Mattison into teaching her signature Real Selling for Real Humans course at School of Coaching Mastery this January. But you can get a taste of Mattison's unique approach to selling with integrity in a free teleclass on December 13th called, Stop Talking and Get More Clients. Guest post by Joy Maiywa. If you are thinking of becoming a business coach, it is most probably because you enjoy helping people establish and grow their businesses. You most likely have a natural ability to recognize things that need improvement and are quick to ask questions or suggest changes that can bring about great results. Like any career, becoming an effective business coach will first require you to acquire the necessary training apart from having some of the natural traits that go with the job. Business coaching involves a great deal of communicating with others. As such, it helps if you are a good and clear public speaker to succeed in the job. You also need to be friendly, analytical, result-focused, thick-skinned and easy to talk to. To become a business coach, you will need to familiarize yourself with all that is involved in the opening, running and establishing of a business. You will need to know about business planning, finance, employee management, accounting and even legal issues affecting businesses. The type of knowledge and training you specialize in will determine the kind of businesses you will be handling. You can either choose to coach on general business practice or specialize in a particular business industry. You can also offer business coaching in segments. For instance, if you would like to become a finance business coach, then your work will involve hosting workshops and seminars to train entrepreneurs on different financial aspects related to their businesses. Some issues you will be handling include how to put together tax forms, correct budgeting, how to avoid losses and bankruptcy, and many more. You can also choose to specialize in business problems, where you can coach people about the different business problems they face and provide the solutions to their problems. The type of field you choose should match your passion and skills. This way, you will be able to effectively mentor others who are lacking in you area of specialization. You do not have to own a business to start a career in business coaching. You simply need to have the passion for the job and the knowledge and skills that go with business coaching. Say you are an expert in accounting. You can choose general business coach training but coach on this field only. If you are good at marketing, you can also choose to impart your skills on people needing marketing skills. To become a professional business coach, you need to acquire some level of training for the job. This way, you will be able to effectively help others by improving their lives and the businesses they are in. You will have the skills to successfully motivate others to adopt certain business strategies and techniques that will result in their success and the companies they work in. As you grow in your career, you will also be able to hold workshops and seminars to help others become successful businesspersons. If you are looking for a career change from the corporate life, consider becoming a business coach in your area of specialization. Joy Maiywa is a professional freelance writer and blogger. She has worked with clients from different fields including technology, education, health, and business and entrepreneurship. She writes for Degree Jungle online rankings, a resource for college students. Wondering how you can become a successful life or business coach? 1. The Entrepreneurial Coach* usually has a strong business, marketing and sales background and either a juicy niche or a smoking hot specialty. This coach knows how to attract the right clients and how to encourage them to buy. However, if s/he over relies on her business smarts, s/he can get caught on the hamster wheel of constantly having to market and sell, in order to keep his/her coaching roster full. Why? Unless clients experience fantastic results quickly, or at least maintain their motivation long enough to experience extraordinary results, they tend to drop out of coaching within a few months. That means the entrepreneur coach has to constantly close new sales just to maintain a good income. For most coaches, this is exhausting and unsatisfying. Worse yet, if clients quit before they're delighted, the entrepreneur won't maximize their number of all-important testimonials, case studies and viral buzz - the stuff that makes for a friction-free marketing and sales engine. 2. The Professional Coach*, on the other hand, has great coaching skills, either from decades of coaching or from a few years of coach-specific training. S/he knows how to elicit amazing results for his/her clients and as a result, clients stay month after month, or buy again and again. However, s/he may know little about effective marketing and sales strategies and as a result, too few clients ever sign up in the first place. That means too few potential clients ever find out about the professional coach, so s/he's constantly searching for that rare client who's willing to pay his/her fees. Sadly, this coach may have spectacular results to point to, but often fails to share them with potential clients, who increasingly, are looking for 'proof' that their coach really knows what s/he's doing. * In both cases above, the coach is forced into a situation where s/he needs his/her clients. The entrepreneur always needs new ones. The professional needs to hang onto the ones s/he has. Otherwise, both risk losing their incomes. When you need your clients, your focus is on yourself, instead of on helping them. 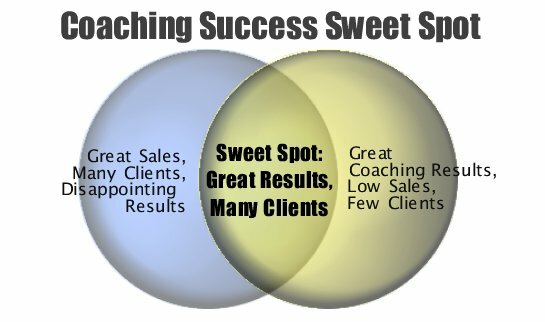 To reach the coaching sweet spot, your needs must be met, so you can focus all your energy on helping your clients get those awesome results. Otherwise, something's got to give. It's way harder to maintain a sustainable coaching business when you have to focus on your own needs instead of clients' needs. However, there are some entrepreneur coaches who really are good at coaching and most of their clients are quite happy and loyal. And there are professional coaches who get it when it comes to marketing and sales, so they're not desperate to get and keep clients. These exceptional coaches are moving into the Sweet Spot. 3. The Sweet Spot: This is the coach who has the skill to produce awesome results quickly and to keep producing results for months or even years. That keeps current clients wanting more and paying for it happily. At the same time, this coach has his/her marketing message down cold, has expertise that new people will buy and knows how to communicate and form client relationships (a.k.a. marketing and sales). Of course, those ever important testimonials, case studies and viral buzz come easily to this coach. When you reach the sweet spot, you aren't desperate to make new sales and you don't cling to your old clients, trying to squeeze out a few more more dollars. You naturally meet your own needs and you can focus all your energy on meeting your clients' needs and helping them get what they want. Happy clients attract more happy clients. I call this coach The Master. Everything we do at School of Coaching Mastery is designed to move our coaching students into the sweet spot by helping them become masters, faster. Marketing programs help entrepreneurs communicate and sell to clients, but are useless when it comes to the critical skill of getting coaching results and keeping clients. And most coaching schools will only get you started on becoming a professional coach - who may never get clients. At SCM, we give away that part of our program for free and focus our real attention on helping our paid members become masters and enjoy that sweet spot, sooner. Turn your five-figure business into a six-figure coaching business and turn your six-figure business into a seven-figure coaching business: Become a Master Coach.